In all of Western culture there is nothing quite like Richard Wagner’s Der Ring des Nibelungen (“The Ring of the Nibelung”). 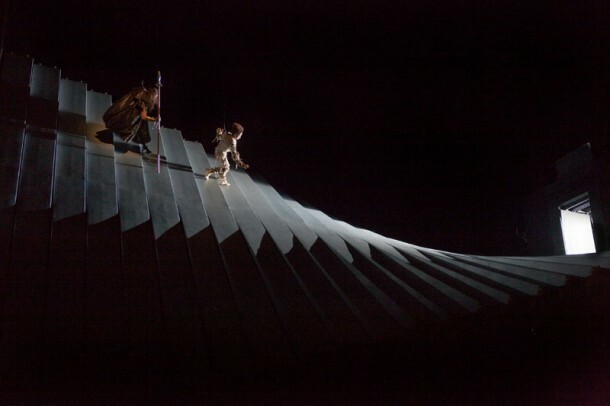 Based on Wagner’s own retelling of stories from ancient German and Icelandic mythology, it consists of four separate but intimately related operas—some of them among the longest ever written—usually performed over the space of a week. 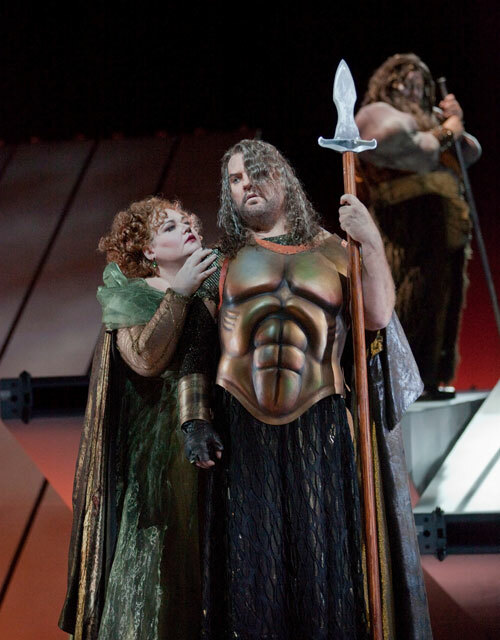 Das Rheingold is the first chapter in this epic tale, and it is—quite unfairly— sometimes not given the respect accorded other parts of the Ring. For one thing, it is by far the shortest. At two and a half hours it is one of Wagner’s shortest operas, about the same length as Der Fliegende Holländer. The composer himself inadvertently contributed to this slighting of Rheingold by calling it a “preliminary evening” to the rest of the Ring. After finishing Lohengrin in 1848, Wagner wrote the libretto—or, as he liked to say, poem—to a new opera, Siegfried’s Death (known today as Götterdämmerung). Realizing that he needed to explain how the events of that opera had come to be, he added Young Siegfried (the opera we now know as Siegfried) in 1851. The following year, feeling further explanation was needed, he finished the libretto of Die Walküre. While Wagner was creating the libretto to his stupendous new work, he was also writing books and pamphlets—on theatrical reform, on opera and drama, and the artwork of the future. As his ideas on the nature of opera changed, so did the nature of his libretti. Götterdämmerung has marvelous monologues, a thrilling love duet, a sensational vengeance trio—all of which can be excerpted and performed on their own (as can some of the orchestral passages). 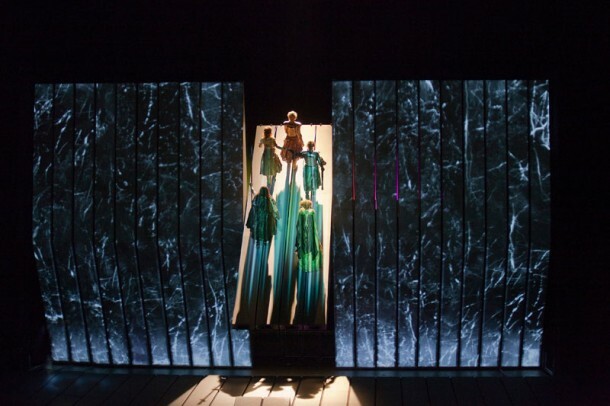 By the time Wagner had arrived at Das Rheingold in 1852, he had come to the conclusion that the drama should not be interrupted by musical set pieces but ought to unfold seamlessly. The vocal writing therefore had to be different from the way singers had been treated in operas before. At the same time, the orchestra would become as much an integral part of conveying the drama as the soloists onstage. “The music shall sound in such a fashion that people shall hear what they cannot see,” Wagner wrote to Liszt. In fact, sketches show that as Wagner was in the preliminary stages of composition he was not only thinking of the words, but of the stage directions as well, writing music that reflected the movement of the scene. There is nothing in all of opera like this miraculous beginning: a low E flat softly played by the doubles basses, then, four measures later, a B flat added by the bassoons. Another 12 measure later a single French horn (“very sweetly” says the score) intones the notes of the E-flat major triad up the scale for over two octaves, followed by a second horn, then another, until all eight horns are playing waves of arpeggios, all on the three notes of the E-flat major triad. Then the cellos and eventually the entire orchestra join in. It’s a musical depiction of the creation of life, growing from a single cell. At the climax, the Rhinemaidens suddenly break into song—representing joyous, unspoiled nature itself. Wagner eventually overcame all the musical, scenic, and dramatic challenges he had created. 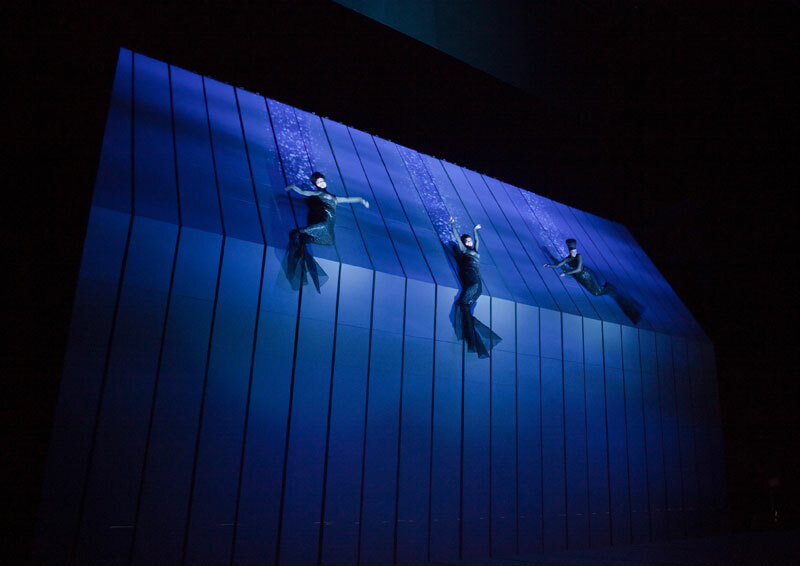 The fact that he not only managed to do so, but that the whole of the Ring cycle seems to flow effortlessly from Das Rheingold, raises its stature from a mere prologue to a theatrical masterpiece all on its own. Wagner did not wish for any part of the Ring to be staged until the cycle could be presented as a whole. He realized this would require a “great festival, to be arranged perhaps especially for the purpose of this performance,” as he had already mentioned to Liszt before a note of the music had been written. But against Wagner’s wishes, Das Rheingold had its premiere in Munich on September 22, 1869, on the express orders of the composer’s ardent admirer and patron, King Ludwig II. Another seven years would pass before Wagner was able to present the Ring in its entirety, in the theater at Bayreuth that was built specifically for it (and that still serves as the home of the annual Wagner festival). Courtesy of The Metropolitan Opera.